While we do feel the warmth and energizing aspects of Lively Coral, we do think it is a color that some people may be intimidated. It can be difficult to know how to incorporate and pair a bolder color. We decided to show you the different ways you could play with Lively Coral. We also paired the Pantone Color of the Year with Owen’s Corning’s Color of the Year Black Sable. Lively coral makes the warmer tones in Black Sable pop. Here are the ways we found to incorporate Lively Color to your outdoor space. If you have outdoor furniture one of the easiest ways to play with color is through your outdoor cushions and rugs. You can keep it monotone, choose a couple different color pairings or go for a pattern. When they start to look worn out or you feel like switching it up, it’s an easy replacement. 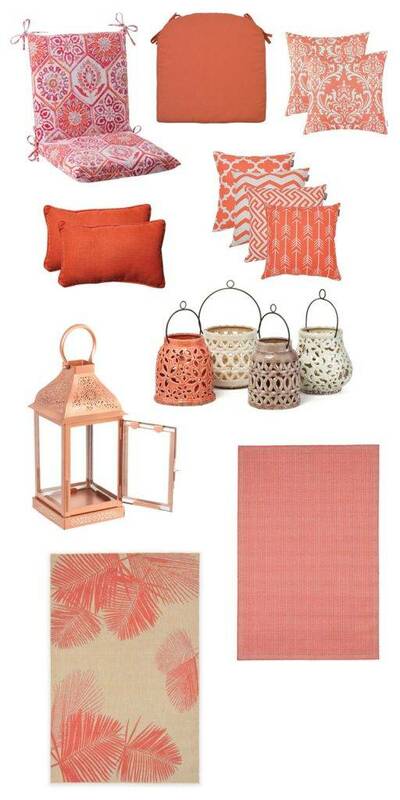 Want to incorporate just a bit of Lively Coral? The easiest and most affordable way to try a new color in your outdoor space is with decor, lights, and with things like outdoor serving ware. 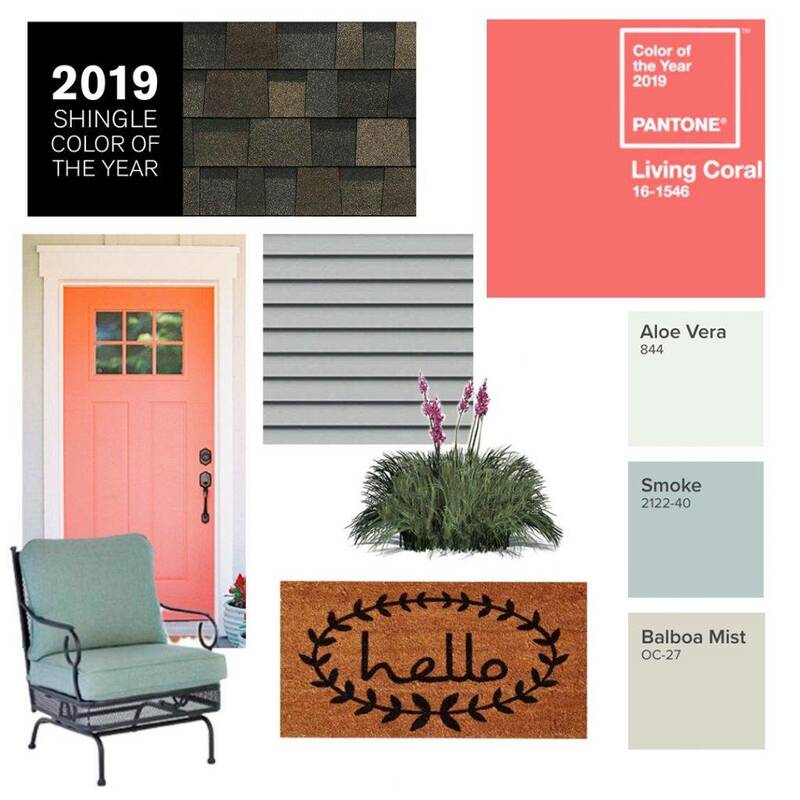 One way to play with the color of the year is with landscaping. There are many different plants and foliage that done a warm coral hue. You can use perennials if you are a fan of the color of the year or chose an annual if you like to switch things up from year to year. Speaking of plants another easy way to bring in the Lively Color shade is with pots and planters. 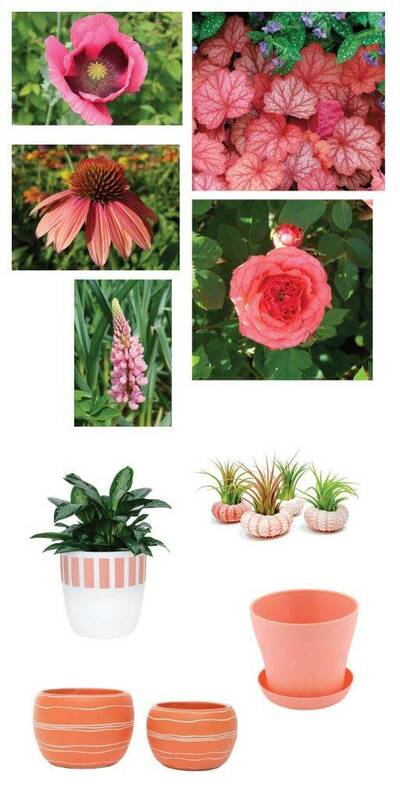 Just like patio cushions you can pair the color with another or select a patterned pot.